John Francis was in his twenties when a 1971 oil spill in San Francisco Bay jarred his comfortable life. Even as he joined the volunteers who scrubbed the beaches and fought to save birds and sea creatures poisoned by petroleum, he felt the need to make a deeper, more personal commitment. As an affirmation of his responsibility to our planet, he chose to stop using motorized vehicles and began walking wherever he went. His decision was greeted with surprise, disbelief, and even mockery – but it was only the start of a much deeper transformation. A few months later he took a vow of silence that would last seventeen years. Raise awareness of central environmental issues and work of UNEP, as well as developing their own projects in areas of environmental education. John Francis’ environmental work began in 1971, when he witnessed a tanker collision and oil spill in San Francisco Bay. It was then that he gave up the use of motorized vehicles and began to walk. He started walking because he felt partly responsible for the mess that washed up on the shore. Several months later, on his 27th birthday, fed up with the arguments his decision to walk seemed to create with friends, John took a vow of silence lasting for 17 years. 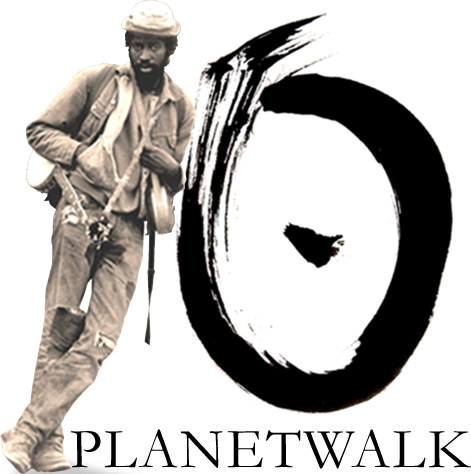 During that time, he founded Planetwalk a non-profit environmental awareness organization, received a B.S. degree from Southern Oregon State College, a Masters degree in Environmental Studies from the University of Montana-Missoula, and a PhD in Land Resources from the Gaylord Nelson Institute for Environmental Studies at the University of Wisconsin-Madison. Ending his silence, John served as project manager for the United States Coast Guard Oil Pollution Act Staff of 1990, in Washington, DC, where he assisted in writing oil spill regulations. For this work, he received the U.S. Department of Transportation’s Public Service Commendation. 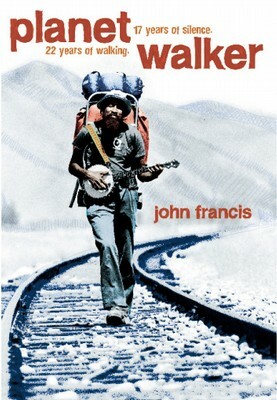 Over the years, John Francis has walked across the US, walked and sailed through the Caribbean, Venezuela, Brazil, Bolivia, Argentina, and Chile. He recently began a walk studying organic agriculture and sustainable development in Cuba, and is developing Planetlines, an environmental education curriculum based on the walking pilgrimage for high school, college and civic organizations. In 2005, he published Planetwalker: How to Change Your World One Step at a Time. The National Geographic Society will republish Planetwalker, April 2008. Since John Francis began using motorized vehicles to return to and from his walking pilgrimage he speaks and consult with a variety of audiences around the world, including redefining environment for the travel and tourism industry, introducing the role of ethical advisor for civilian/military humanitarian operations, and encouraging diversity and inclusiveness within traditional conservation and environmental organizations. On Earth Day 2005, he began a walk retracing his route back across the United States, looking for differences in the landscape and the conversations. His goal is to redefine the environmental problems we face into an inclusive concept, and to form partnerships among Native and non-Native people, cultures, businesses and organizations across America that might traditionally feel they do not share the objectives and values of environment and conservation. His thesis is that if we as human beings are an integral part of the environment, then how we treat each other and ourselves directly and indirectly effect the physical environment. His most recent walk was in Cina, Planetwalk Hangzhou: 2014. In February 2008, John spoke at the TED (Technology, Entertainment, Design) Conference. Every year, 1000 leading thinkers and doers gather in Monterey, California for this unique event. Past speakers and performers have included Bill Clinton, Bill Gates, Paul Simon, Richard Branson, Frank Gehry, Philippe Starck, James Watson, Billy Graham, Jane Goodall, Al Gore and Bono. It embraces science, media, architecture, business, performance arts, music and comedy. Its success is based on the extraordinary effect of bringing together 1000 of the world’s most remarkable people. The result? Unexpected connections. Extraordinary insights. Powerful inspiration. Today, Dr. Francis is visiting associate professor at the Gaylord Nelson Institute for Environmental Studies, at University of Wisconsin-Madison, where he is teaching both graduated and undergraduate seminars in environmental studies. He is also the first education fellow at the National Geographic Society where he has published two books, Planetwalker: 17 Years of Silence, 22 Years of Walking, and The Ragged Edge of Silence: Finding Peace in a Noisy World. They are partners in developing the Planetlines curriculum based on John’s walking experience that lasted over two decades.